Many cyclists wear their helmets to increase their safety and prevent any head injuries if the collision or accident occurs. However, most of them are not even aware of the fact that helmets can save lives. While some states have a mandatory law that requires all cyclists to wear protective helmets, there are always exceptions. But one thing is certain: wearing a helmet may help save your life. Here is why it is important to wear protective helmets, and how you can reduce the risk of head injuries. According to the National Highway Traffic Safety Administration, wearing a helmet can increase your chances of preventing a head trauma by 70 percent. Almost every bicycle accident ends up with the rider falling off the bicycle. The fall could result in head injuries, brain injuries, and other life-changing injuries. Wearing a helmet can help change that. It may absorb some of the force of the impact, and prevent any open wounds from occurring. Instead of getting a seriously cracked skull followed with head trauma, you can end up with a concussion and be out of the hospital the next day. Helmets are not only visual accessories. Most of them are made of shock-absorbing materials that help prevent any serious injuries to the cyclist’s head. Call us today and let us help you get the compensation you deserve. Concussion – if you believe that you have a concussion (feeling dizzy or nauseated), you should always visit the nearest hospital and get checked. Headaches – any headache lasting longer than a few hours could be a sign of a serious condition or head damage. Instead of taking the pain killers, visit your doctor’s office and have your head checked for any internal injuries. Nausea and Vomiting – these two conditions follow almost every serious head injury. They are a sign that you suffered a concussion, and are usually followed by disorientation and disinterest in eating right after the accident. If your nausea gets worse quickly, you have to seek immediate medical attention. Fatigue and Sleep Disorder – if you are feeling constantly exhausted and have problems sleeping, you may have experienced head trauma following an accident. If you have any of these symptoms after a bicycle accident, get medical attention as quickly as you can. 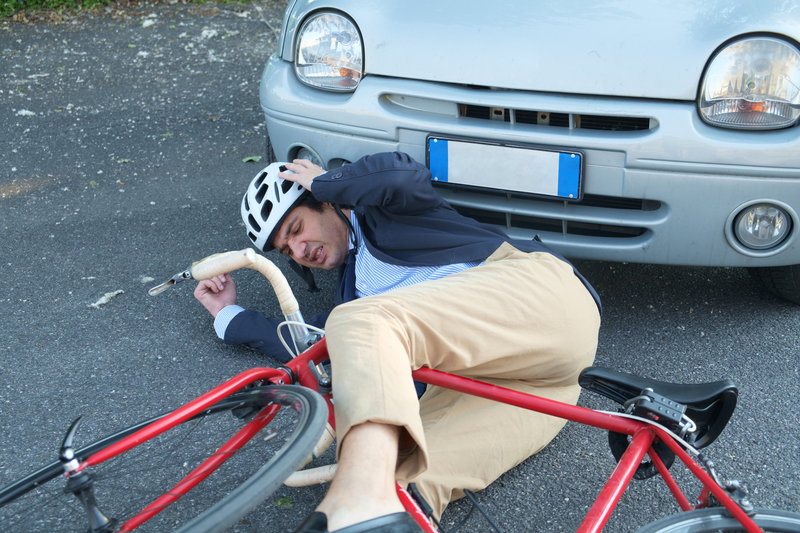 Once you are feeling better, consult with our Bicycle Accident Attorneys in Phoenix and find out how you can file a claim against the person responsible for causing the accident and get compensated for your damages.